The kitchen is the centerpiece of a home. Give yours an inspiring lift with the help of a contractor from Contractor Connection’s expert network. From counters and cabinets to appliances and accessories, they’ll help you put it together beautifully. Some of the most memorable moments you’ll ever have in a home happen in and around the kitchen. And when you choose Contractor Connection to help you find the right kitchen remodeling contractor, the setting for those memories can be made more beautiful than ever, more easily than you ever thought possible. Whether you’re repairing your damaged kitchen, looking to update cabinets and countertops, or thinking of knocking down walls, our network of credentialed contractors are ready to help you bring your kitchen to life. And we’ll match you with the right contractor for your project. Simply select your project type below and enter your ZIP code to submit a project request. After that, you will be contacted within 24 hours by someone from our vast network of credentialed contractors. No hassles. No stress obtaining multiple bids. Just one contractor who best matches your project. All contractors back their work with a contractor 3-year workmanship warranty. Not only that, but throughout the process you will enjoy the convenience and confidence that comes with our Project Tracker, fair and reasonable estimates, and outstanding customer service. Should anything unexpectedly go wrong, Contractor Connection will be there to assist with the resolution. When your project is complete, you will receive a satisfaction survey to provide feedback on your customer experience to assist in the performance monitoring of our contractors. With one finger, you can find the perfect contractor for your project. Start right now. 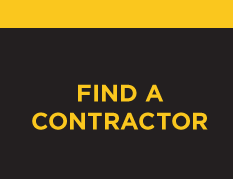 Tell us a bit about your project, and Contractor Connection will match you with the perfect local contractor—for FREE. Give your family the peace of mind that comes from using our network of over 5,000 expert contractors. Helpful resources, design tips, inspiration and more. 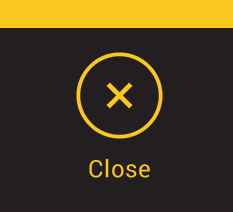 Plus, testimonials from satisfied Contractor Connection customers and information about our mobile app.